Testro X Review (2018) Does It Actually Work? 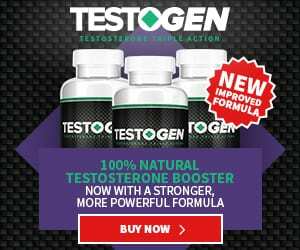 Will Testro-X really increase your testosterone levels unlocking all the benefits that come with it? Should You Use Testro X? Testro-X is a testosterone booster produced by Truth Nutraceuticals designed to increase your testosterone production through a blend of natural ingredients. The formula was developed by Christopher Walker, a Duke neuroscience grad with over a decade of experience in men’s health research. If your goal is to get shredded, you’re probably most concerned with Testro-X’s muscle building benefits. First it provides you with the minerals needed to produce testosterone; second, it reduces stress hormones that convert testosterone to estrogen; and third, it increases hormones that tell your body to produce testosterone. Testro X has more negative reviews than positive ones. There is some evidence that it may work but overall it’d probably not going to do much for you. There’s definitely better testosterone boosters out there for sale. At the time of writing, Testro-X is selling for $52.20 for a month supply on Amazon.com including free shipping. It’s selling on the company website for $54.95, but they also include the option to subscribe to a monthly or semi-monthly subscription which lowers the price to $46.71. Truth Nutraceuticals offers a 60-day “It works, or it’s free” money back guarantee. According to the company’s website, they recommend taking 3 capsules after dinner since one of its ingredients, ashwagandha, aids in sleep. They also claim that there are no side effects and that this product can be used by women looking to lower their cortisol levels. Testro-X contains the following ingredients per three capsules. Truth Nutraceuticals’ website provides some supporting research for each ingredient in Testro-X. However, there are some problems with some of the studies. Either they don’t reach statistical significance, or they examine the effects on animals instead of humans, which makes it difficult to make broad claims. Here’s a breakdown looking at the research of each of Testro-X’s ingredients. One study looking at the impact of zinc on wrestlers found that supplementation increased circulating testosterone (1). Another study found that 3mg of zinc supplementation per day can reduce the drop in testosterone caused by exercise (2). There is some research to support the use of magnesium for athletes. At least two studies suggest that it has benefits for increasing free testosterone after strength training (3, 4). However, neither study reached statistical significance so as of yet there’s no link between magnesium supplementation and testosterone levels. The research on boron supplements is mixed, but a few studies have found testosterone boosting benefits. Animal studies show that it can improve testosterone status in rats and frogs (5, 6). A study examining the effect of boron on bodybuilders found no significant effect (7), but a study looking at the benefits on a general group of men did find a significant boost in testosterone (8). Research on ashwagandha extract consistently shows a minor effect on testosterone levels (9, 10). As of yet, there’s not enough evidence to suggest that Forskohlii can improve testosterone levels. One study found that it may have benefits for increasing testosterone in overweight men (11). Research shows that Inositol may increase LH levels, which is responsible for the formation of testosterone (12, 13). There aren’t any studies showing a positive effect on glycerine for athletes or bodybuilders. More research needs to be done to make any muscle building claims. Like glycine, more research needs to be done looking at the effects of L-Theanine on muscle building. Black pepper fruit extract has been found to increase the bioavailability of several nutrients (14), but more research needs to be done to show a testosterone boosting effect. This product has received mediocre reviews on Amazon with an average rating of 3.1/5 stars. Some customers rated this product five stars and claim to swear by it. However, on Amazon, there are also tons of one or two-star reviews from people claiming not to notice an effect. This is in line with the research, which shows there may be benefit but is largely inconclusive. These two users claim to notice a benefit for their workouts without side effects. This user tested their blood testosterone levels before and after seven months of taking this product and found no improvement. The following are reasons why you shouldn’t take Testro-X. Overall, all the ingredients in Testro-X have some research to back their usage, but the research isn’t compelling enough for you to drop $50 a month on this supplement. If you look at the customer reviews on Amazon, there are equally as many negative reviews as positive. If this product was priced at $30 a month instead of $50, we would probably recommend it, but there so many other great testosterone boosters on the market that we can’t justify the expense. If you really are curious if Testro-X may be beneficial, the company offers a 60-day money back guarantee so you can try it here with a relatively low risk.